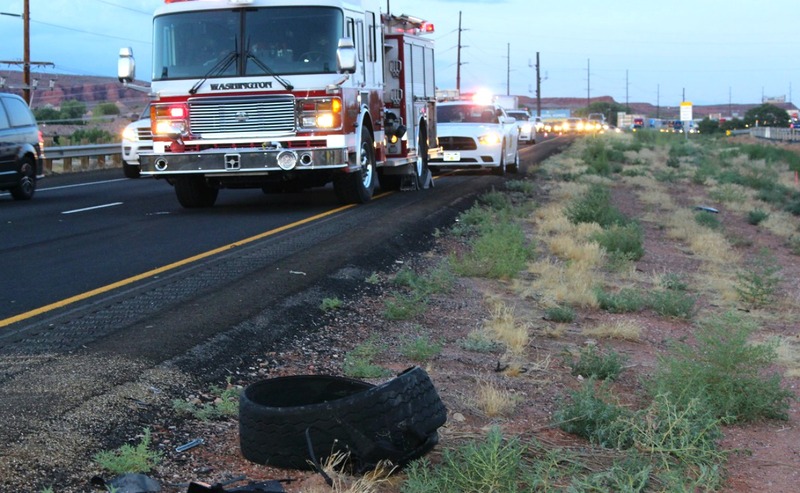 WASHINGTON CITY — Road debris that landed in the middle of the fast lane of Interstate 15 had multiple drivers swerving and two SUVs crashing Wednesday evening. 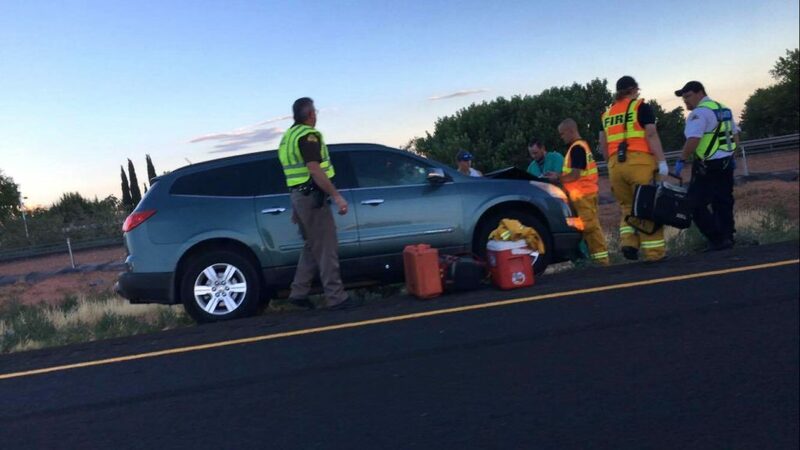 Shortly after 8 p.m. officers and emergency personnel responded to an incident on I-15 southbound near Exit 12 that involved a dark green Chevrolet Traverse SUV and a charcoal Jeep, both carrying several occupants, including small children. 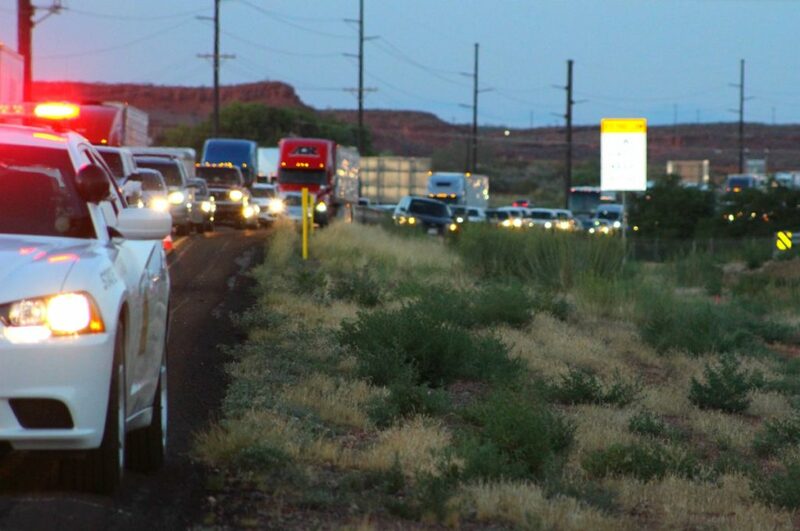 The crash occurred when a passenger car was heading south on I-15 and braked suddenly to avoid hitting a large tire tread sitting in the middle of the inside lane, Utah Highway Patrol Trooper Seth Spencer said. 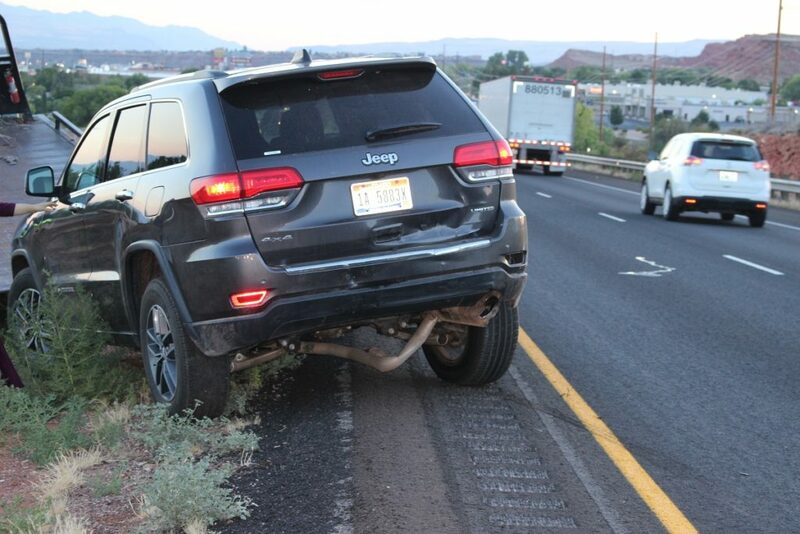 The driver of the Jeep following directly behind the passenger car hit the brakes and was able to stop in time to avoid a collision, while the first car went on its way and was not involved in the incident. The woman driving the Chevrolet, Rhianna Humphreys, was following directly behind the Jeep and said she hit her brakes but was unable to avoid the crash. 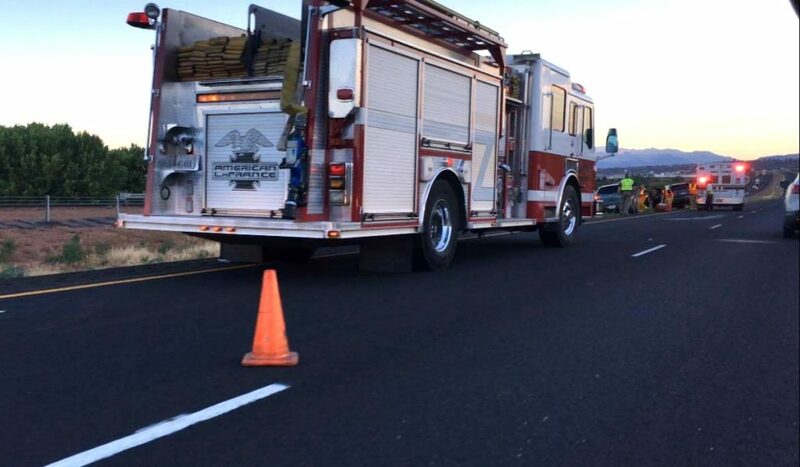 Humphreys was returning from a trip to the Salt Lake area with her infant son and older child when the crash occurred, and said she didn’t realize the car in front of her came to a stop until it was too late. “I saw her brake lights on and slowed down, but as I got closer I realized she was stopped and then I slammed on my brakes but couldn’t stop in time,” Humphreys said. “The Jeep was almost stopped in front of the debris when it was struck by the Chevy,” Spencer said. Behind the Chevy was a man driving a white passenger car who turned the wheel to the left, which sent the vehicle into the grassy median instead of colliding with the Chevy, one witness said. Spencer said no injuries were reported at the scene. Humphreys, however, said she and her children would be taken to Dixie Regional Medical Center in St. George by her husband as a precaution. 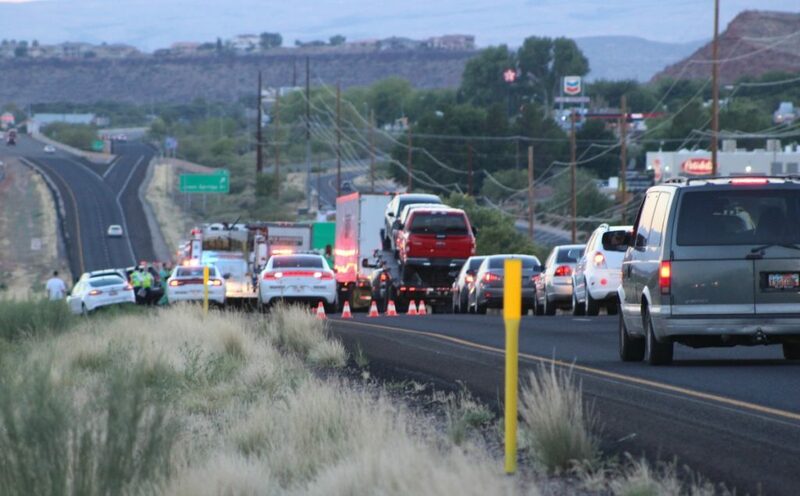 Both vehicles were rendered inoperable in the crash and were subsequently towed from the scene. We learn in driving school to assess the risk of running over an object, instead of swerving to avoid it. The simplistic example is a small animal running into the path of a vehicle. 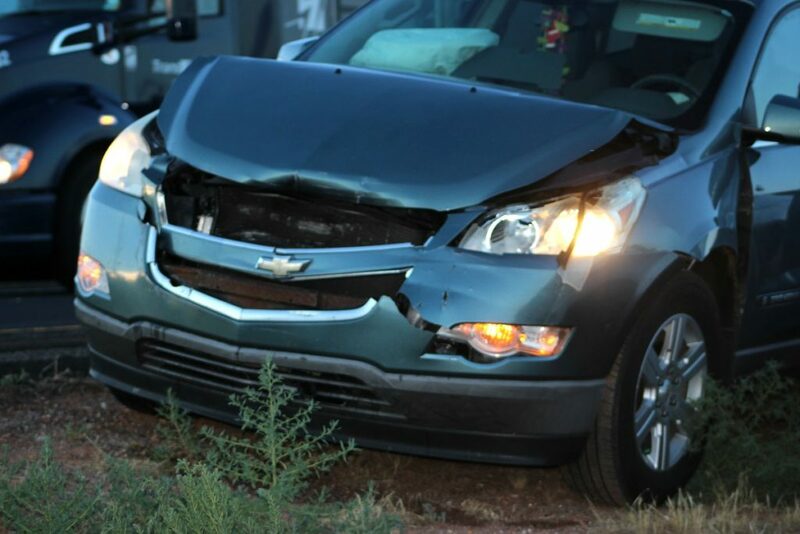 The recommendation is always accept the hit instead of swerving to miss it and possibly cause a head-on collision. Not exactly sure of the circumstances here, but it might be helpful to hear what the UHP officers would have recommended, beyond not following the car in front of you so closely. If you drive up and down I-15 at any frequency, you come across these separated treads frequently. You might see UHP officers stopping along the highway shoulder and running out into the traffic lanes to remove these obstacles, at great personal risk. I agree, the 80mph limit is a bit much. I’ve taken notice and vehicles can usually go about 93mph before UHP will consider writing a speeding ticket. So the actual unwritten speed limit truly is about 90mph. I was so irritated with my last trip up there i’m gonna make it a point to avoid holiday weekends w/ using I-15, but sometimes it can’t be avoided.